From Friday night my FT950 was running with WSPR on 40M. Given the results, I think that the conditions are not so good. My 5 watts signal is heard by 4X1RF several times, a distance of over 3000km. 4X1RF was also my longest distance I received. In 2 newsletters of the Benelux QRP Club is an article by Albert PA3EKN about an universal cw transmitter. The crystal, some capacitors and inductors are the determining factor for the hamband used. Albert described this project in newsletter 64 and 96. In the junkbox I found the PCB of this project with the crystal 3.582 MHz, not very useful for QRP. I ordered crystals for different QRP frequencies, including 3.560 MHz, by Genesis Radio in Australia. This past week I have installed. The transmitter works for the first time very close to the desired frequency. With tuning C1, transmit frequency is 3.560 MHz. Yesterday I started with WSPR on 40M. This morning I saw that my laptop was restarted last night. 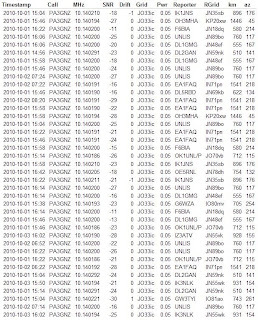 With my sleepy head I restart WSPR and don't saw that the program was on 30M. 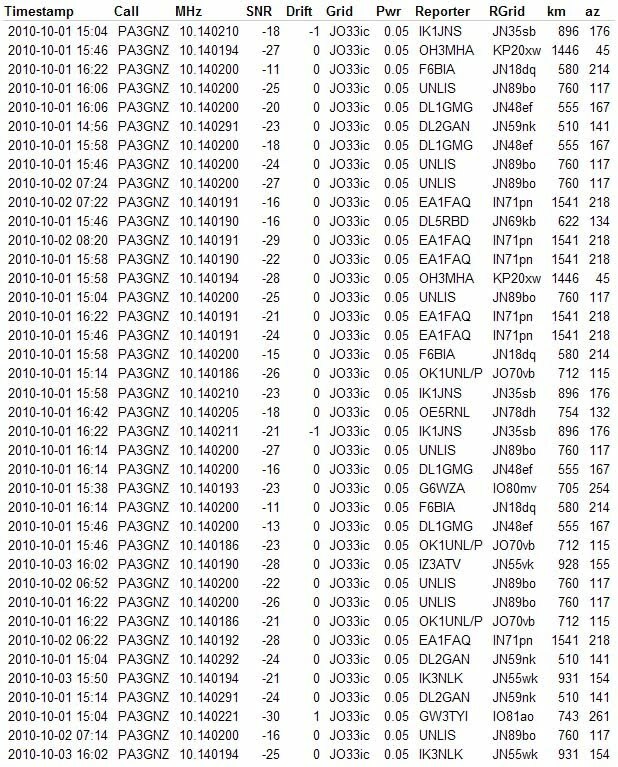 All received data is passed as spots on 30M, while 40M it should be. My apologies for this mistake! Last weekend I was in Zuidlaren for a few days, JO33IC. On Friday I setup my station, FT817 + 10dB attenuator. And the 30M ZEPP on the topfloor and a few meters outside. With WSPR I used only 50mW. I made also a few cw/qqb qso's on 30 and 40 meters.